Surgeries – are face-to-face meetings held by councillors for locals to raise issues in their area. 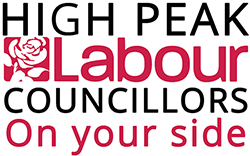 Street surgeries – you will normally get a leaflet in advance of councillors and supporters calling at houses in a particular street – In some cases, you will be requested to show the leaflet in the window if you want a councillor to call. Coffee Morning – jointly with High Peak MP Ruth George in venues across the High Peak, offering a chance to raise concerns either with our MP or local councillors (or both). These will sometimes be arranged on a particular theme – see below or on Ruth’s website by clicking here for forthcoming dates. Virtually via Skype – please contact your local councillor for more details and if they are able to offer surgeries via this method. For the Shoppers surgery, street surgery and coffee mornings no appointment is needed. Home visits/appointments (at other times) can also be arranged. If you’re not sure if it is something councillors can help with, please try our local councillor’s what can we do for you page by clicking here. Please contact us if you need any further information by clicking here.